Wallflowers squared? or Wallflowers cubed? Let's hope those are perennials! Funny picture of plants posted on blog of Nuclear Toast. Wow, Andy, =nice= obscure reference! 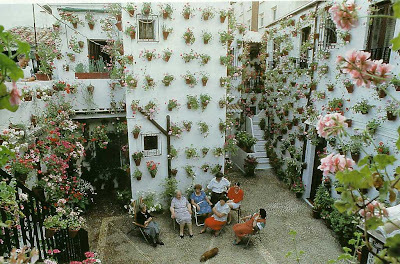 When Edna said she wanted wall-to-wall flowers, she wasn't kidding!